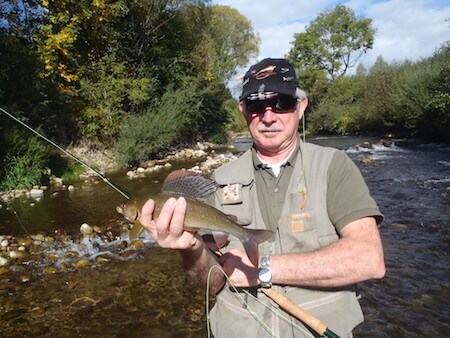 In the Czech Republic we offer fly fishing holiday with professional guides in the north of Prague. We are in North Czechia. Our office is in a big city of Liberec and the main base during the fishing season is usually in a small town of Vrchlabi in the Giant Mountains. Both are only 2-hour drive from Prague. 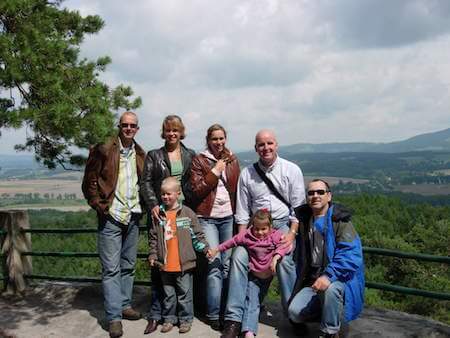 For all that our guiding can practically cover the whole Czech Republic we are specialised in North and East Czechia. There is no doubt that we can offer you the best know-how there. 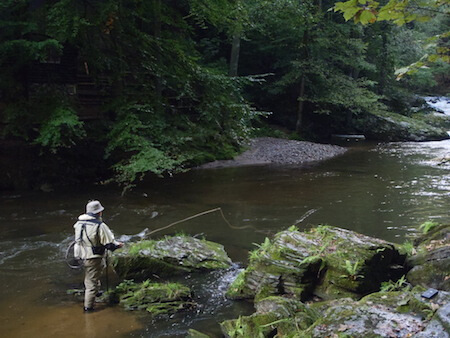 We were born here and have been fly fishing this area for the whole life. 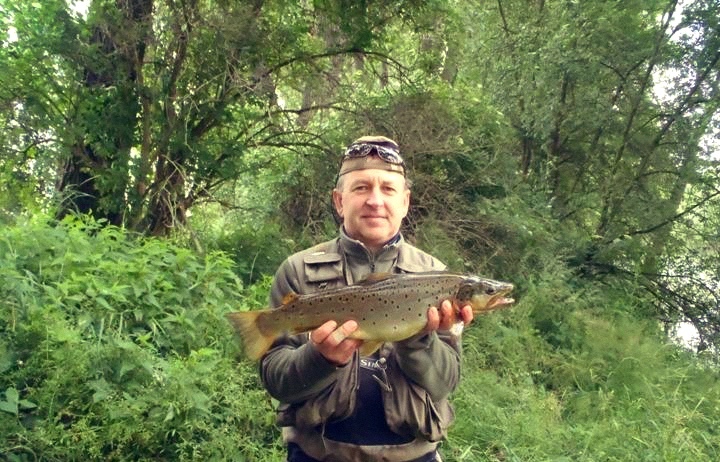 There are many rivers and lakes in the whole Czech Republic but not all of them are suitable for fly fishing. The aim is not to give you a complete list of them. But we would like to focus on the most interesting rivers and lakes in our area. We have been fishing them for ages and every year we have the newest information on them. 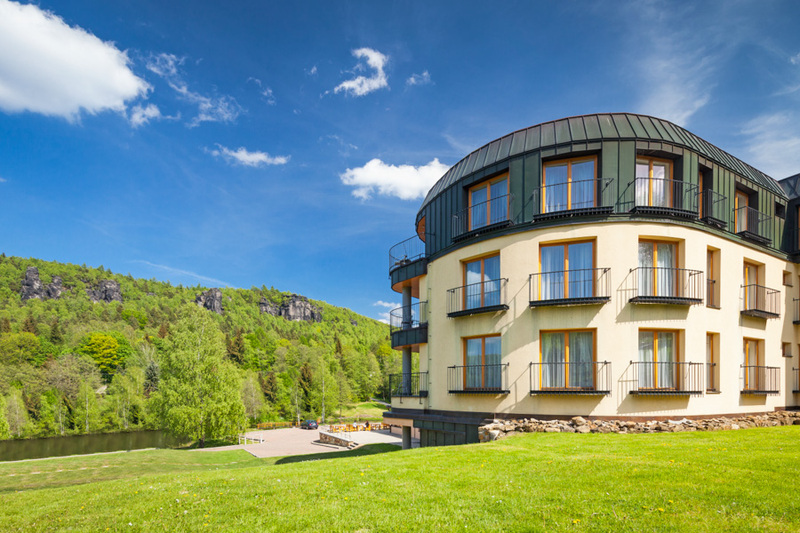 We would like to offer you suitable accommodation which is always close to our rivers and lakes. You can choose from price reasonable bed and breakfast house or self catering apartment to 4 stars hotel with half board and full comfort. My guide colleagues are a real expert in fly fishing. Everybody knows his home rivers perfectly and can give you not only the best know-how but also very friendly companionship during your guiding days. 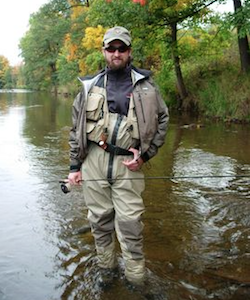 One of the best fly fishing competitors in the world. His home river is the Labe but thanks to his know-how he can guide you anywhere. Martin speaks English. In spite of “his world fame” he stayed modest and very friendly guy who can teach you a lot. It is a pleasure to fish with him. 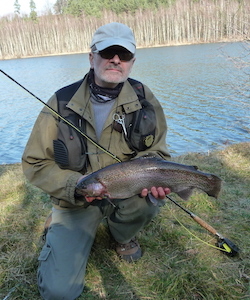 Top guide for German and English speaking fishing-clients. Born in the rural Giant Mountains of former Czechoslovakia, he lived in England and Germany for many years, and therefore knows European lifestyle, culture and good humour very well. 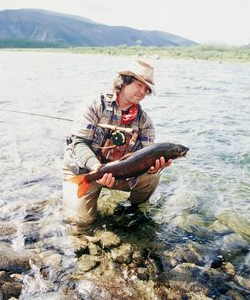 Highly experienced angler who has been fly fishing from 1976. He studied at Fishing High School in Vodnany which gave him very good fishing know-how. When I started fly-fishing Petr was my first teacher who showed me everything-casting, fly-tying and his secret tricks. History and the present, yesterday’s events and tomorrow’s hopes stand shoulder to shoulder in this country in the center of Europe. 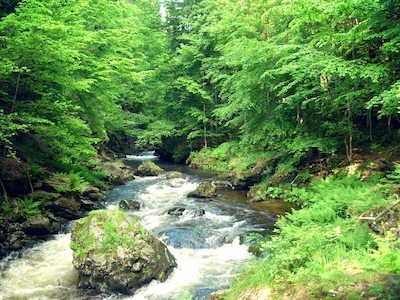 Nature herself has endowed the Czech Lands with strong contours, their outlines molded into natural borders. The natural borders of the Czech Lands were described as early as in 1125 by the chronicler Kosmas in his „Chronicle of the Czech Lands”. The mountains around the country were aided in their protective role by the deep forests, through which led little known tracks to the mountain passes. 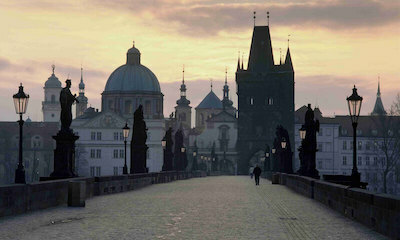 The Czech Lands spread out these mountain ranges a land that the National Anthem lauds as a paradise on Earth. After your specification we are able to offer you acceptable prices that should minimize your costs in the Czech Republic. If you accept our offer you will be asked for 100 EUR per person as a confirmation fee. The rest amount (minus 100 EUR per person) will be paid in cash on the spot. Please manage your insurance by yourselves.